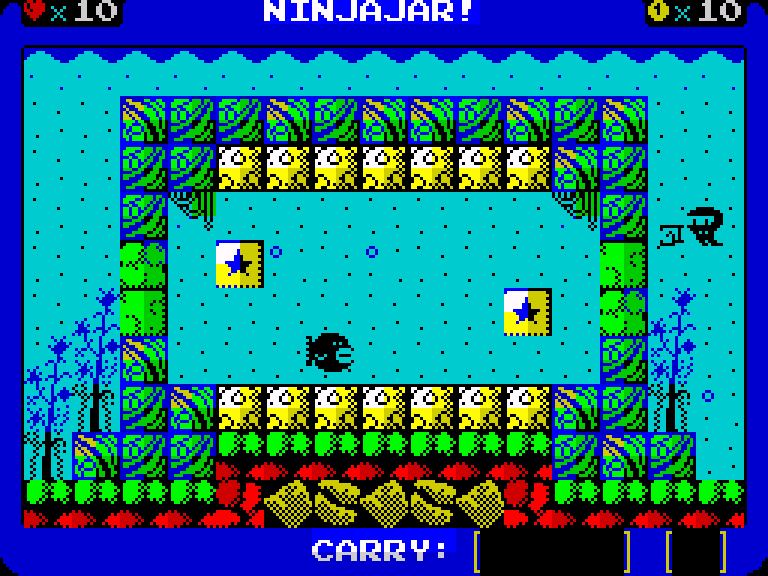 Graphically the game is a powerhouse by ZX standards, stretching the limited hardware to its breaking point. The visuals are top notch with graphical qualities that would not look out of place on an NES, or dare I say it a Master System. 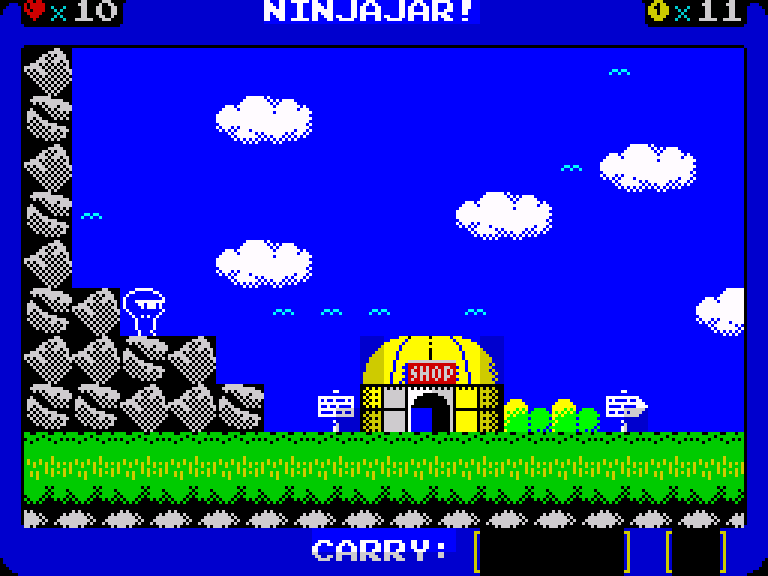 Sprites are perfectly rendered and the levels are varied and (at least for the Spectrum) full of detail and memorable. 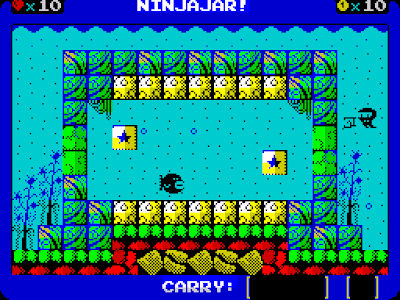 Throughout the game you will encounter many different environments, from the rainy early stages through to the trap filled castles towards the end, each brimming with originality and challenge. Controls are incredibly tight for a Mojon Twin's game; they have fined tuned their infamous 'floaty' gravity to give greater challenge but allowing you enough mid-air control to land some insanely precise platform segments. Never do you feel like the controls are to blame for any miscalculations or errors - they are easily the best controls of any ZX game in my personal experience. You have movement to the left and right, a punch, a jump and also a down button that selects objects, never are the controls overwhelming or cluttered. Perfect. Gameplay is a joy from start to finish, combining a mix of platforming, puzzles and the occasionally intense escape segment. The background story is as generic as they come, Ninjajar! 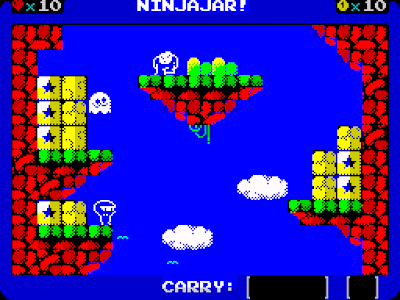 's girlfriend has been captured by a perverted monkey and you have to save her. However, as the game plays out you meet all sorts of weird, wonderful, famous (and also perverted) characters - there are so many references to popular culture that the majority of the gags could have been nabbed from the Family Guy script department. The humour is crude, unexpected and most certainly my cup of tea. Ninjajar! features the best soundtrack to a ZX Spectrum game I have ever heard; both varied and in perfect fitting with each level theme. The Spectrum is not known for its ability to produce decent music (in general) but the the stuff that's here would put an awful lot of games on other 8-bit platforms to shame. Sonically the game never grates or becomes overly repetitive, and it's worth mentioning that pretty much every cameo character has a theme if you talk to them - so there is a good reason to hunt them out! I could write about this game for days - it has been an absolute pleasure to play. 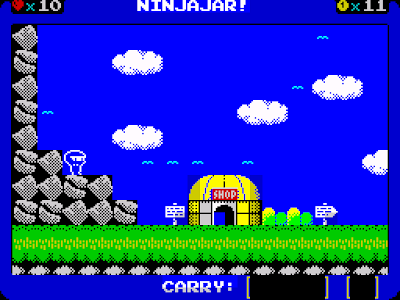 The Sega nerd in me loves the 'Alex Kid' gameplay, and I completed Ninjajar! in two sittings, totalling at about four hours. The game is tough; anyone who doesn't want to turn their hair grey should play with an emulator and make full use of 'save states' as at times the game, like all great classic platformers, punishes you mercilessly. 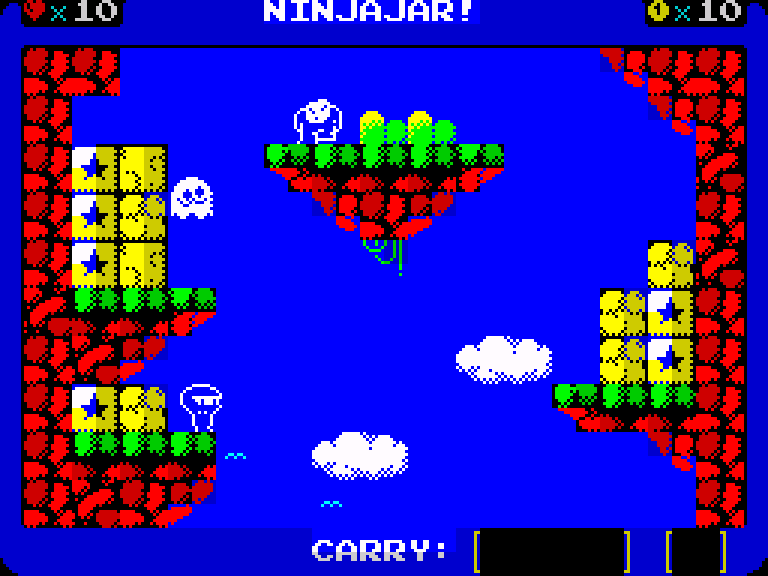 This is a landmark modern-day title for the ZX Spectrum, proving that the old codger can keep up with the cool kids. While the NES and Master System dwell on successes long past, this title proves that with a lot of passion it is possible to bend 30+ year old architecture to deliver something truly inspiring. Mojon Twins, you really have outdone yourselves this time. Incredible from start to finish. 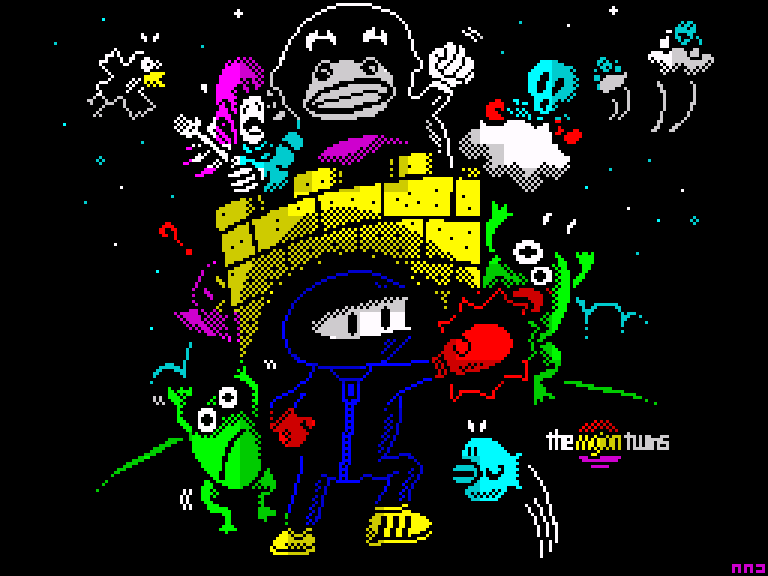 Download the ZX Spectrum version here (from the Mojon Twins site).